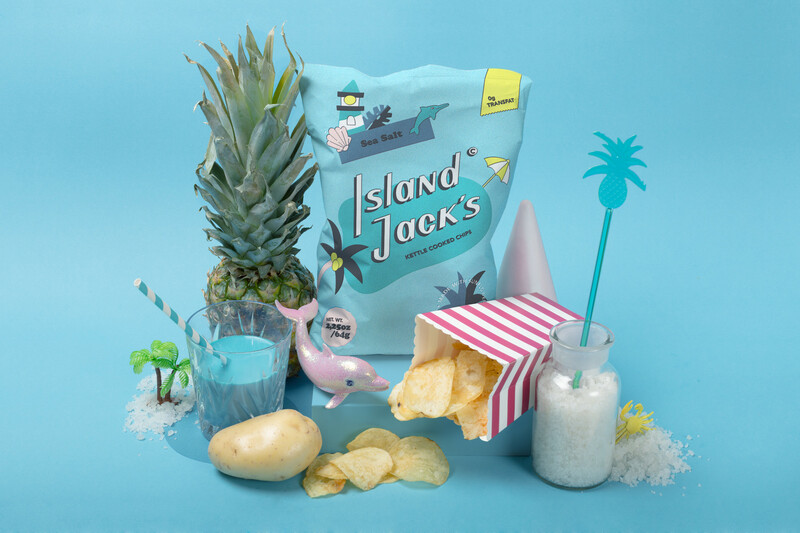 Island Jack´s is a potato chips manufacturer based in Miami that is different from other commercial chips brands on the market. 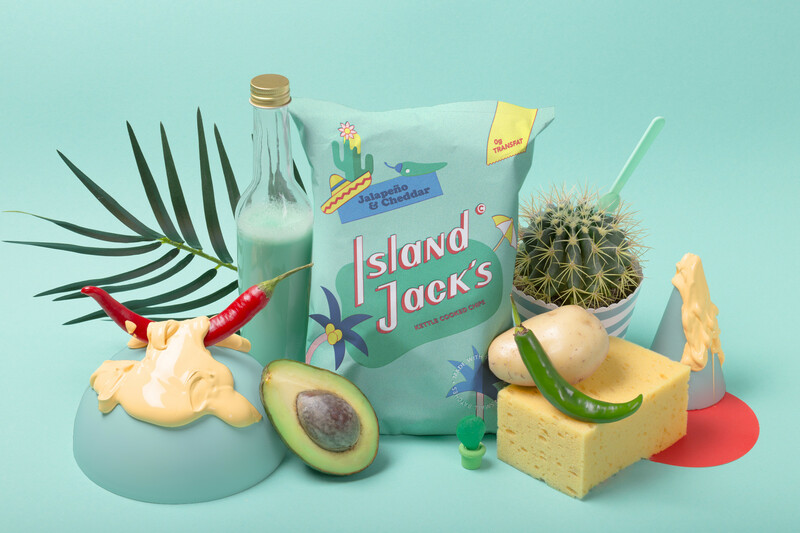 The brand is personal, has a fun character and they cook their chips in small batches in a cattle. 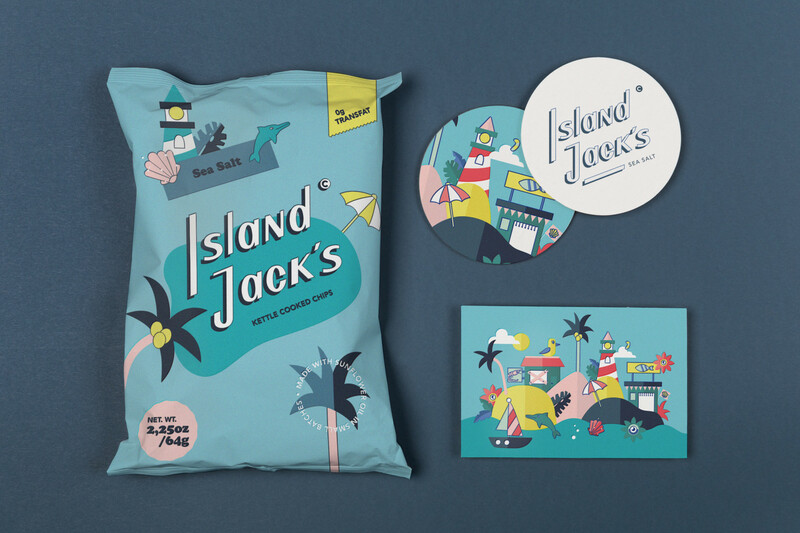 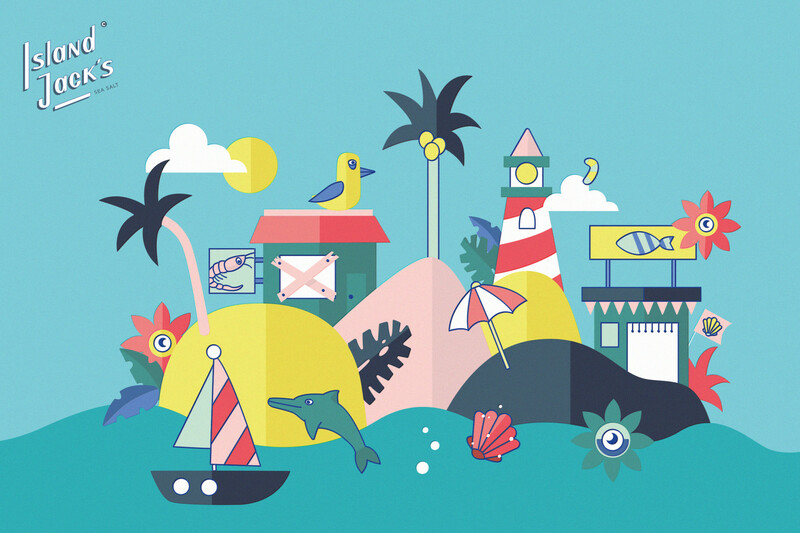 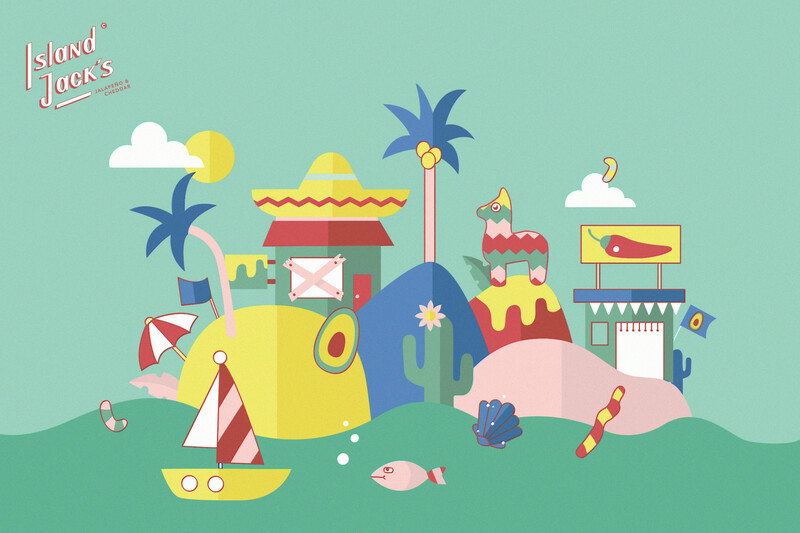 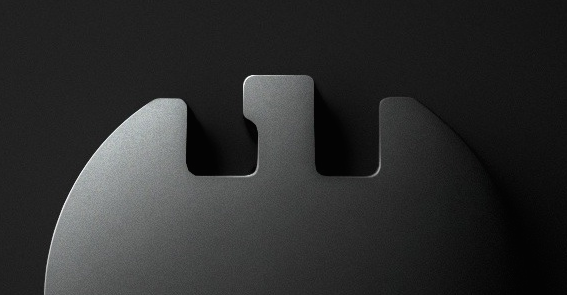 Highest quality, personality and fun are very important for this brand, which stands out through its charismatic illustrations. 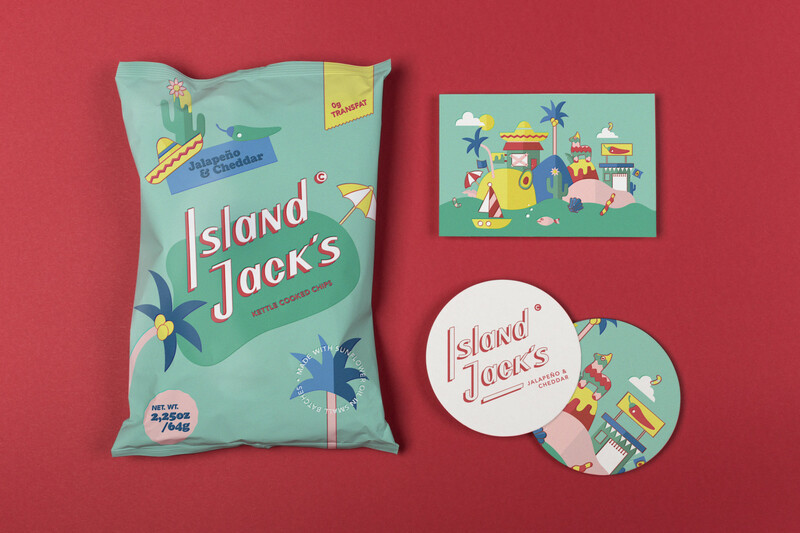 The logo is inspired by Miami’s vintage road signs and communicates in combination with the original color scheme and illustrations a feeling of summer, holidays and Miami vibes. 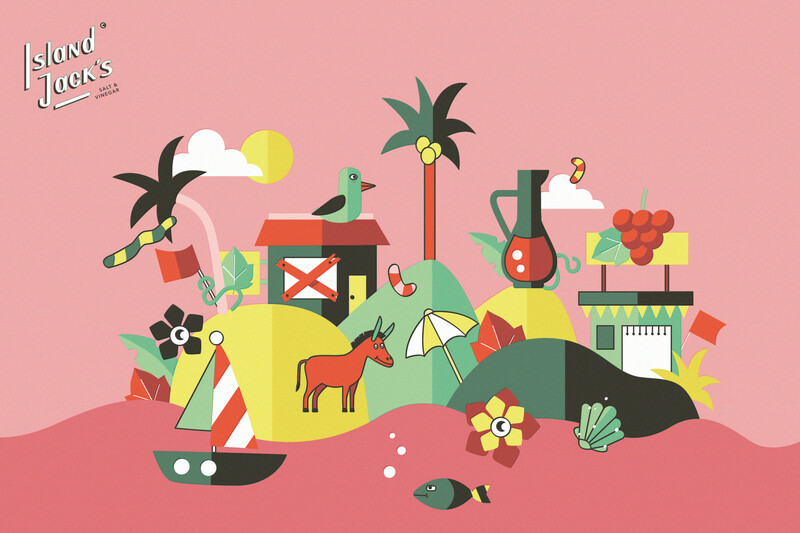 Each flavor creates its own little island world showing its ingredients and other complimenting characters. 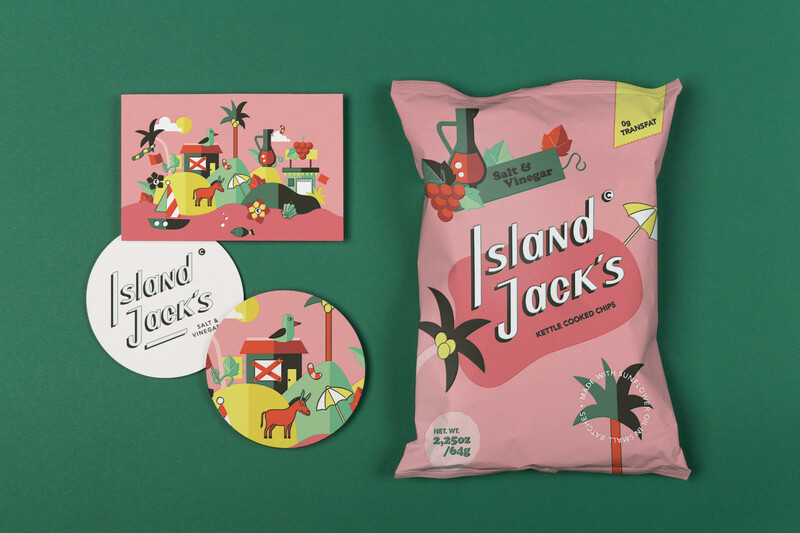 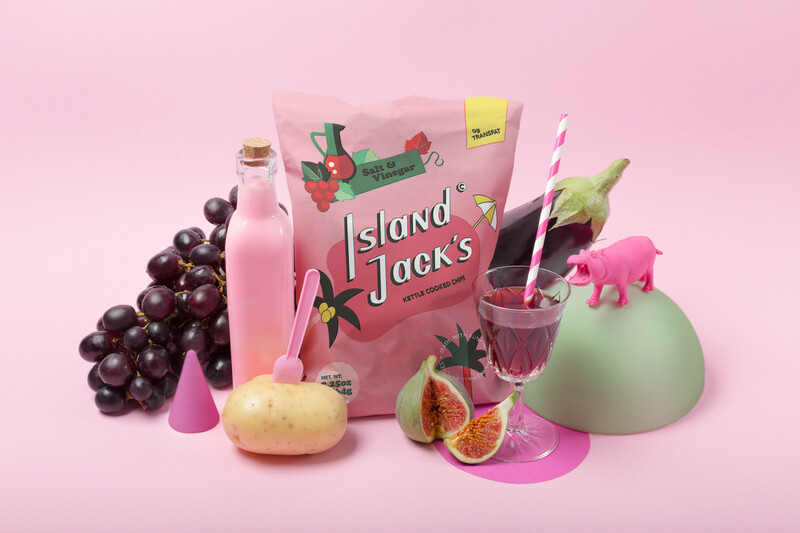 This island concept has been interpreted also in the set design by building three different compositions around the packagings.